Start taking classes at Aquaspin and other studios! Forget about your grandma’s aqua aerobic class. 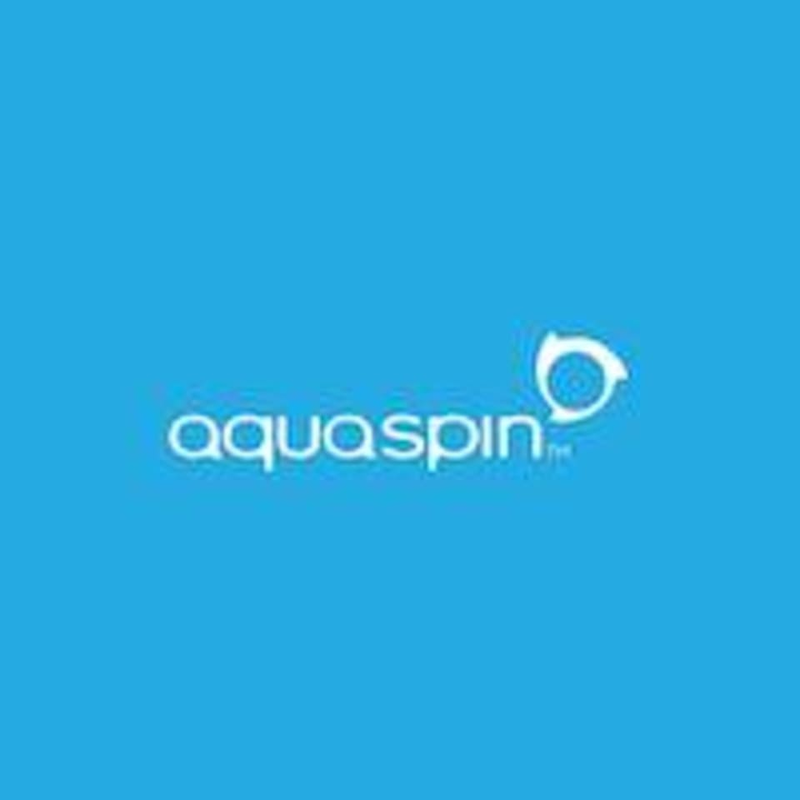 Aquaspin Dubai are putting the fun and intensity back into aqua exercise! Join them for an Aquaspin™ class at their Singapore home studios or thier locations abroad today! They proudly incorporate a wide range of programs tailored to your specific needs so you can achieve your fitness goals at your own pace. Whether you are looking to build muscle strength, increase your cardiovascular endurance, or simply maintain a healthy, fit body, Aquaspin™ has the perfect class for you. Please bring along a swimsuit, a towel, a bottle of water and some sunscreen if needed. No other equipment is required. You are more than welcome to join if you cannot swim, their sessions are in the shallow end of the pool, and at no time is your head submerged in the water. First timers are urged to come 15 minutes before the beginning of the session so our Aquaspin™ P.R.O can guide them through on how to use the equipment, and how the session is run. We do not cancel classes because of the rain. We will cancel only if the weather conditions are dangerous (thunder & lightening). Aquaspin™ classes are ON unless advised by the team. If they have to cancel a class they will send you a text up to 30 minutes before the start of the class. When a class is cancelled before class starts because of weather conditions we will credit the session back to your account. If heavy rain occurs before or up to 20min into the class you are allowed to ask for your booking to be canceled. This studio holds classes in 6 locations, please see the studio that you are booking class at in the title of the class: POLO CLUB 80 Mount Pleasant RD, 298334 The entrance of the Club is on Mont Pleasant road. Please go through the main entrance and the pool will be in front of you. MRT: Caldecott stop CC17 on the Orange / Circle Line is only 8-10min away. BUS: There is a bus stop right next to the Polo Club. Bus stop is called “Opp Polo Club” on lines 54, 130, 132, 141, 156, 162, 162M, 166, 167, 851, 980. CAR : There is a car park at the Polo Club. Unfortunately it is not free but you can also find parking around the area. SWISSÔTEL MERCHANT COURT 20 Merchant Road 058281 IMPORTANT: There are several Swissôtels in Singapore. Swissôtel Merchant Court is located right next to Clark Quay MRT. Enter through the lobby and take the elevator to the 2nd floor. Upon exit you will see the spa counter and the pool. We will be there waiting for you! MRT: Clark Quay North-East Line (Purple line) exit Merchant Road. Upon exit the hotel is just on your right! BUS:961#, 61, 190, 851, 961, NR1, NR2, NR3, NR5, NR6, NR7, NR8 and 12 CAR: Swissôtel has an indoor parking, unfortunately it is not free. IMPORTANT: There are several Swissôtels in Singapore. Swissôtel Merchant Court is located right next to Clark Quay MRT. Enter through the lobby and take the elevator to the 2nd floor. Upon exit you will see the spa counter and the pool. We will be there waiting for you! MRT: Clark Quay North-East Line (Purple line) exit Merchant Road. Upon exit the hotel is just on your right! BUS:961#, 61, 190, 851, 961, NR1, NR2, NR3, NR5, NR6, NR7, NR8 and 12 CAR: Swissôtel has an indoor parking, unfortunately it is not free. HOTEL JEN ORCHARDGATEWAY 277 Orchard Road, 238858 CAREFUL! There are 2 Hotel Jen in the area, please make sure you are going to Hotel Jen OrchardGateway. The pool is located on 19th floor. Go through the lobby and go up top the 10th floor, then change elevator to go up the 19th floor, you will find the pool as you get out of the elevator. Changing rooms are in the corridor on the right when you are facing the pool. MRT: Somerset (North South line) BUS: There are two bus stop nearby CAR: Parking at OrchardGateway is $3 for 1.5 hour. OAKWOOD PREMIER OUE SINGAPORE 6 Shenton Way 068809 Please look for Oakwood Premier Oue Singapore’s elevator lobby on first floor. Go to 7th floor (lobby and pool floor) turn right, follow the corridor and go through the glass door to access the pool. MRT: Tanjong Pagar (green line) or Downtown ( blue line) BUS: The closest stop is called “UIC Building” on lines 10,10e,57,70,75,97,97e,100,106,107,128,130,131,133,162,167,186,196,196e,400,402,502,513,530,531,546,590,598,700,850e,951e,970,971e,982e CAR: You can park at OUE, parking is free after 6pm until the end of Feb! Definitely a to go class for me. Love the spin under the sun. Great workout without sweat with pumping heart rate. Work out was so fun!! Tiring yet satisfying. Some great workout, nice clean location and a very hyped and engaging instructor! Alicia was super friendly and smiley. she pushes you to go harder and joins us in the water while we do all the hands /legs exercises. Edwin was so cheerful and encouraging! An upbeat class that lifted our spirits and kept our heart rates up. Pretty intense workout with a great view of Clarke Quay's riverside.